Now comes the truly enjoyable part, planning the ceremony itself! Many of the fairytale weddings of our lifetime, for example, Prince Charles and Lady Diana, took place in religious settings, in towering cathedrals with much pomp and pageantry. But for many that's not your fit ‒ maybe it feels right to you to get married on your Uncle Fred's acreage in denim dresses and Wranglers just before Stampede. Or maybe you fell in love skating on Bowness Lagoon and would like to get married there. That's the beauty of civil marriage ceremonies, the possibilities are almost endless. 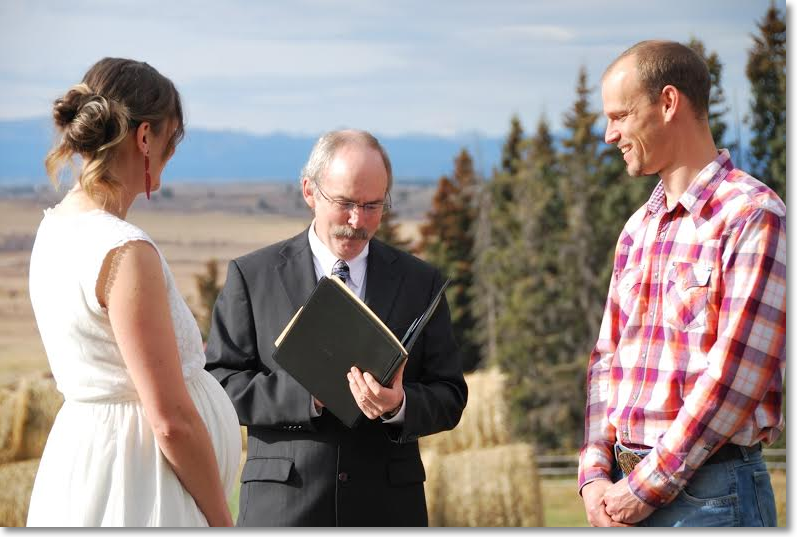 In a civil ceremony conducted in the province of Alberta, the couple are legally required to make two statements. The rest of the ceremony is up to you two. I don't even have to utter those famous words, "If any persons can show just reason why these two people may not be joined in matrimony, let them speak now or forever hold their peace ..." if you don't want to. You can make it as simple or as intricate as you like. 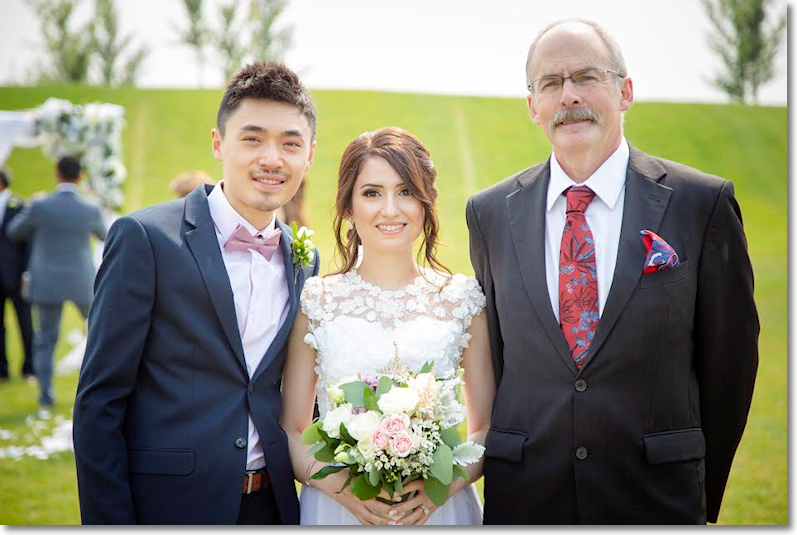 The provincial government supplies a sample Civil Marriage Ceremony that is an excellent template, a great starting point. Some couples I have married have used it almost word for word. Others chose to delete parts of it and add their own special touch. If you have a friend who is handy with a sound system, we can add a special piece of music that's your special song. If you love literature, we can add readings by Shakespeare or other incurably romantic writers. If you want to do a theme wedding, a nature‑focused service in Fish Creek Park, there are vows that can capture your particular passion for this green planet. And if you want a simple, low-key service in your living room with a dozen close friends and family members forming a circle around you, well, that's just as special.